Updated: Ebola Outbreak Planned Years Ago! 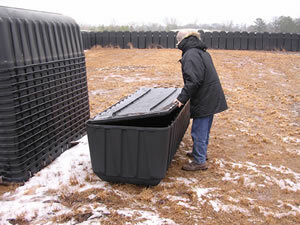 What Do You Think The Millions Of “Coffin Liners” Are For? DISCLAIMER: I don't subscribe to the notion that Ebola is necessarily an agent of Obama, the NWO or anyone else to depopulate earth or the U.S. I am a subscriber however to the facts that evil men took control of the banking industry long ago, and with their wealth have influenced politics, the United Nations and corporations across the globe to one degree or another. We see this manifesting itself today with Agenda 21, with the "military industrial complex" and with the advent of corporations the size of small nations that are embedded with globalists and Luciferians that have a one world agenda. Is Ebola an agent of the end times meant to wreak havoc on the population of the world? Is it really a toxic brew from ISIS or some other such terrorist group? Is it simply a strain of Ebola that has just simply appeared in these trouble times? All good questions that deserve our honest consideration. -W.E. Award-winning scientist calls for death to humanity by EBOLA….in 2006! 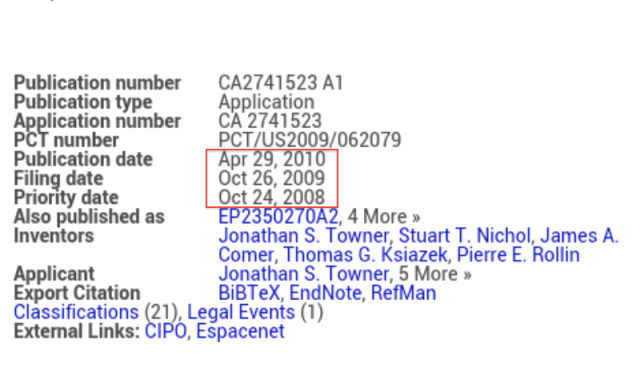 “Amazingly, the CDC owns “the” patent on Ebola (CA 2741523 A1…applied for in 2008!) and all future strains. Updated: Medical Evidence That Vaccines Cause Cancer, Autism, Narcolepsy, Developmental Disorders And Death! Please check out the above link to see the truth about vaccines. Most source articles used for this post are from published medical studies exposing the link between vaccines and severe, often irreversible neurological conditions and cancer, and therefore cannot just be dismissed by the medical establishment! Please share the information in this post with your Family Doctor and Pediatrician. Many of them have no idea of the damage they are causing. AND NEVER TAKE ANOTHER VACCINE…EVER!